Nice striker Mario Balotelli's next destination is unlikely to be Marseille after manager Rudi Garcia insisted his club were not seeking another forward. Patrick Vieira has confirmed Balotelli is "unlikely" to remain with his Nice side having expressed his wish to leave following two years with the club, and the 28-year-old Italy international was left out their opening Ligue 1 game last weekend. A move to Marseille has been mooted yet Garcia has poured cold water on that possibility by declaring his happiness with the club's current strikers. 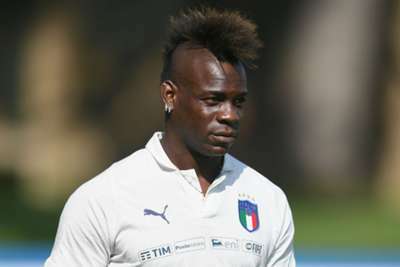 Asked about Balotelli at his media conference, Garcia said: "You talk about it, we do not especially inside the club. The priority is not a centre-forward. "I am delighted. Valere [Germain] started very well. Kostas [Mitroglou] made a very good preparation when he arrived last summer on August 31 with a muscle injury. "On last season, he has the best ratio of European goals scored [to] time spent on the field, or almost. I am satisfied with these two, there is no reason to go looking for others, no particular debate."